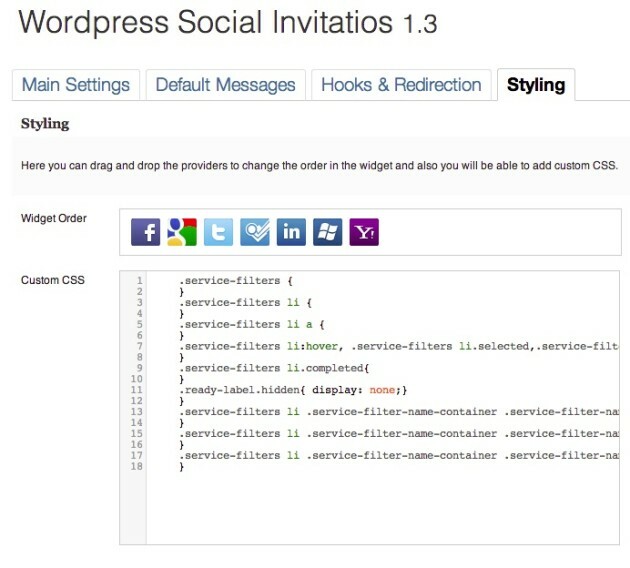 Improve your site with WordPress Social Invitations, aka WSI. Forget about paying expensive monthly fees! WSI perfectly integrates into your WordPress/BuddyPress site. You will be able to offer to your users the chance to invite all their friends into your site. WSI currently supports: Twitter, Facebook, Linkedin, Google, Yahoo, Hotmail and Foursquare. You will be able to edit the default invitation message or let your users modify it. 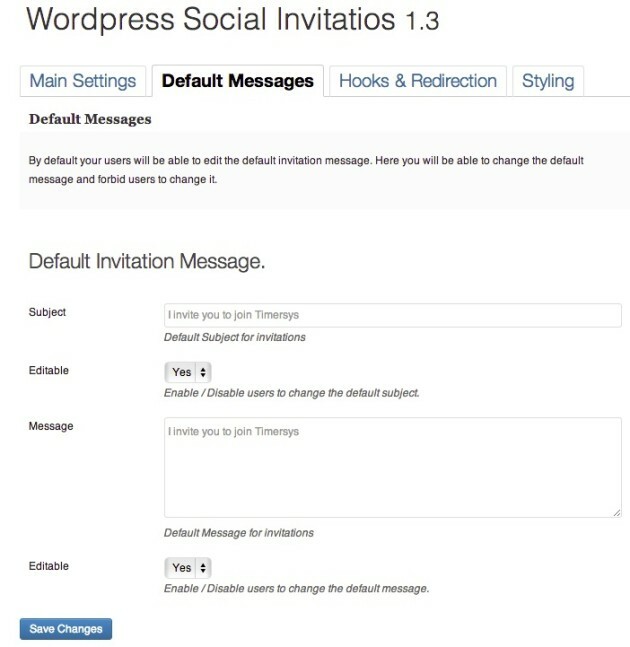 WSI will use your email system to send invitations to your friends. Linkedin don’t provide emails, in that case we are going to use their API to send private message invitations. For Facebook we use chat service and for Twitter direct messages. It also hooks with the popular Invite Anyone Plugin, to let you export emails from your social networks. Providers supported by Invite Anyone Plugin: Google, Yahoo, Hotmail, Foursquare. All the others don’t share user emails accounts. In the hooks tab is where you can switch on/off the hooks with BuddyPress and Invite Anyone Plugin. In that same screen you can specify an url to redirect users after they invite some friends. But wait, that’s not all!. You can also style the plugin in the styling tab by changing the CSS or the widget order by simple dragging the providers. Please feel free to try the demo and get your copy in WSI site or the BuddyPress demo site to test the Invite Anyone Integration. Web Programmer and WordPress Lover, Damian is the Manager of Timersys, happy husband and dad of a beautiful girl. 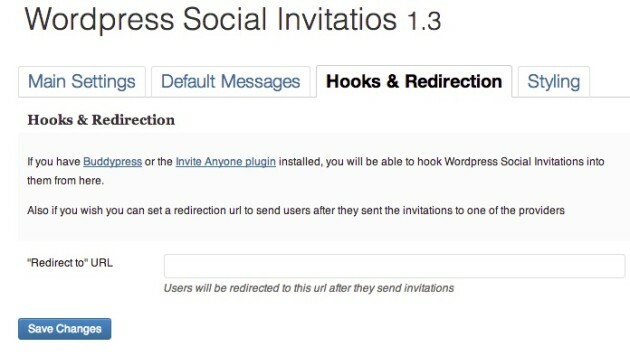 Damian Logghe nice plugin but kindly tell me how to change url i mean how to set wp-social-invitations to social-invitations. Thanks in advance. Previous Entry: WP User Frontend PRO Giveaway – 3 Licenses Up for Grabs!